MSN Messenger is Microsoft’s messenger application that is included in the Microsoft Network’s list of services, along with Hotmail. For over a decade, MSN Messenger has fulfilled this role nicely. That is until Microsoft decided to rebrand MSN, and go with the name Windows Live in late 2005. MSN Messenger was then replaced by a new messaging application, called Windows Live Messenger. Windows Live Messenger’s development is still ongoing to this day. MSN Messenger, on the other hand, had its last version in 2005, and has not been updated ever since. Despite this, some people still prefer to use MSN Messenger instead of Windows Live Messenger. This is because MSN Messenger provides a simpler and cleaner look compared to Windows Live Messenger. People who use the service purely for messaging are often the ones who prefer MSN Messenger, as they do not need or care about the new features available in Windows Live Messenger. As Windows Live Messenger is already a mature application, it adds substantial features that are not available in MSN Messenger. This includes integration to other platforms besides the PC. There is a client for Symbian S60 mobile phones, as well as an integrated Windows Live Messenger in Microsoft’s gaming console, the Xbox. Choosing between MSN Messenger and Windows Live Messenger should be quite easy for most users, as it’s basically a trade-off between simplicity and features. Although you can still run some versions of MSN Messenger, users are urged to update to Windows Live Messenger, as Microsoft no longer supports MSN Messenger. Sooner or later, MSN Messenger will fail to work, as modifications to improve Windows Live Messenger will break the compatibility with MSN Messenger. You will also need to run MSN Messenger in compatibility mode when using newer versions of Windows, like Vista and Windows 7. This is not a problem with Windows Live Messenger, as Microsoft made sure that it’s optimized to run properly. 1. MSN Messenger was the original name of Microsoft’s messaging application, which was later replaced by Windows Live Messenger. 2. MSN Messenger versions stopped in 2005, while Windows Live Messenger is available to this day. 3. 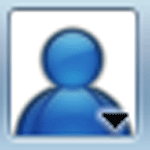 MSN Messenger presents a much simpler interface compared to Windows Live Messenger. 4. Windows Live Messenger is integrated to the Xbox and S60 phones, while MSN Messenger is not. 5. Windows Live is optimized with later versions of Windows, like Vista and Windows 7, while MSN Messenger is not. Ben Joan. "Difference Between MSN Messenger and Windows Live Messenger." DifferenceBetween.net. February 15, 2010 < http://www.differencebetween.net/technology/internet/difference-between-msn-messenger-and-windows-live-messenger/ >. Thank you for explaining this so clearly and concisely.